I’ve loved this board for a few years now. Its one of my favorite go to boards in the shop. The name throws people through a loop but a jib stick this is not. 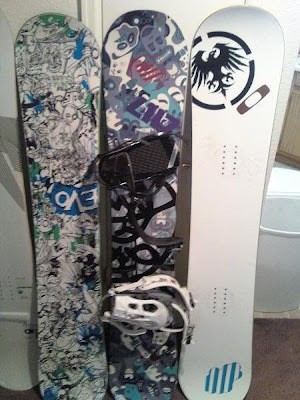 Its been a long time since I rocked a board, boot, and binding from one company but I’m glad its this set up. Stability: You can charge on this thing and be perfectly fine. I honestly can’t feel the harshmellow under the inserts though. Ollies/Pop: Pop tastic. Load that tail up and boost to the moon. Throwing 180’s off the edges is super fun. Butterability: The flex in the nose and tail does make it a bit of a stiffer board to butter but not so bad its undoable. You can lock into presses like no other. Cruising: While the tips aren’t super great for riding in pow it gets the job done. For resort riding its fine and the flex pattern really allows for you to pop off rollers with ease. Jibbing: I like a stiffer board for all around park riding. I can jib on this but I think if I went to something like the WWW rocker I’d be better off. Rider in Mind: Someone that wants insane pop off jumps but still have a decent enough flexibility to press. 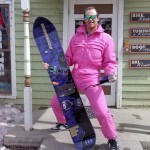 Or the guy that wants a board for just cruising groomers and popping off rollers. Personal Thoughts: I’ve wanted it for years and I finally got it. Word is Jibpan with rocker next year, now that I’m stoked on. Binding Compatibility: This is the binding thats meant to go with the board. It matches up with it great. Binding Adjustability: Other than the initial set up I haven’t touched these things since. They’re so dialed in and easy to adjust. I spent about 10 minutes with them the first day and that was it. Straps: I like the straps flex. Its pretty solid for what I’m doing. The new toe cap this year with the slit in it makes it better to rock as a cap. The heel strap has the right amount of padding and cut out. Highbacks: The new highback shape this year is really conduscive for all mountain riding. The mesh on the outside of it stiffens it up which allows you to drive through carves a lot easier. While the softer flex on the inside has more give in it allowing for better jibability. Binding Flex: Its not a mid flex but a tad bit past it. The highback coupled with the metal heel cup and plastic base allow it the right amount of flex for me. I can press, jib, and charge with it. Ratchets: Every once in a while they get a bit stuck with snow or don’t snap back closed. I’ve had that issue with just about every binding I’ve owned. Rider in Mind: A solid all mountain rider looking for a binding to go everywhere. Personal Thoughts: I love this binding and its amazing how many more people I’m seeing rocking them this year. This binding replaced the 390 for me and took its place super well. well sorta, close. the stance mainly…as most people are either 22 or 23… anyway, it’s super fun to jump on a board that you love and know will kill it. such confidence!